Thank you so much to Mike Dent for this absolutely fabulous launch trailer!!! Welcome to Tokutember, a tokusatsu drawing challenge for the month of September that will give your art a little Rider Kick! Whether Kaiju or Ultra, Ranger or Rider, all toku fans are welcome! 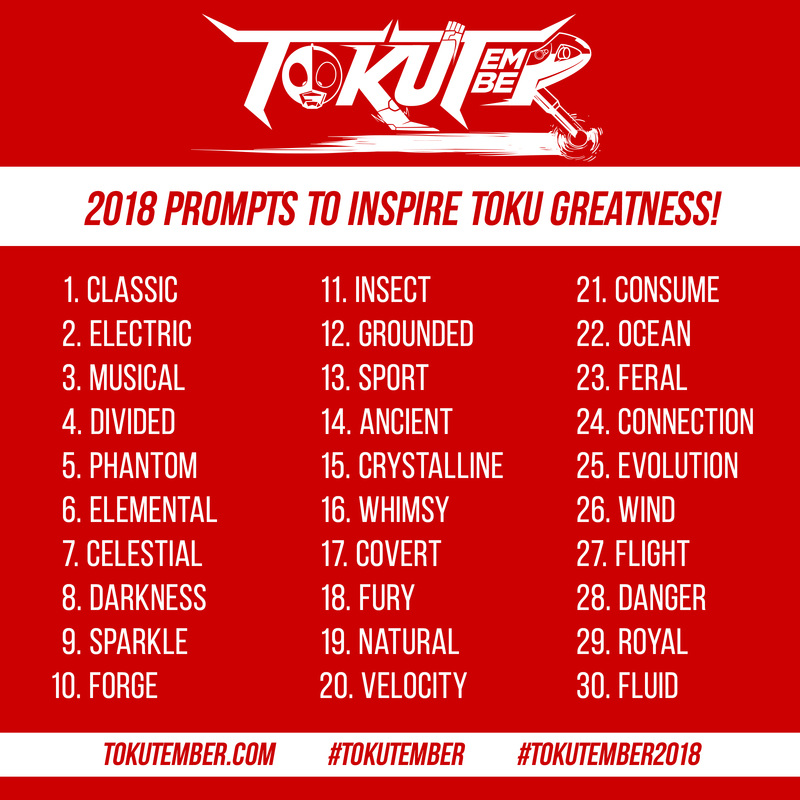 Feel free to use these prompts for toku inspiration or work from your own! Tokusatsu is a Japanese live-action television and movie genre that features heavy use of special effects. Basically, if you've seen Power Rangers or any Godzilla film, you've seen tokusatsu. Create your very own tokusatsu creation (Kaiju, Ultra, Metal Hero, Ranger, Rider, etc). You can stick with this year's theme or just draw what you want. Original ideas are encouraged. Fanart creations are welcome. Post your creation online with the hashtag #tokutember and #tokutember2018. Post to as many social media spaces as you feel comfortable. 3. Do the thing again! Frequency is up to you. You can rock every day of September, every other day, weekly, or post one amazingly epic piece. Don't worry if you fall behind on your chosen schedule. This is for fun and for the love of tokusatsu. Get inspired and see what artists are creating for #tokutember. Copyright 2019 Tokutember.com. All rights reserved.